The Cleveland Browns' executive team wanted to hire then-Carolina Panthers defensive coordinator Sean McDermott as head coach in 2016 but owner Jimmy Haslam wanted Hue Jackson, according to an excellent in-depth look at the Browns from ESPN's Seth Wickersham. McDermott, of course, would remain in Carolina for the 2016 season and then be hired by the Bills in January 2017. He took the Bills to the playoffs in his first season, going, 9-7, before leading the team to a 6-10 mark in 2018. 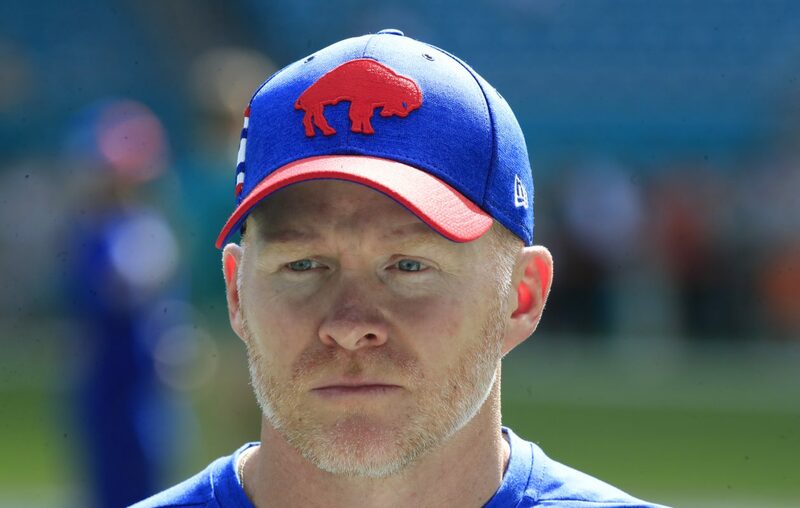 According to the report, the Browns' brass voted 4-1 in favor of McDermott, described as "a coach who had crushed his interview and was known to be open to new ideas." The lone dissent was from Haslam, who preferred Jackson. Despite pleas from his front office to reconsider, Haslam went to Cincinnati and hired Jackson, who reported directly to the owner. Haslam believed Jackson "could relate better to players." Jackson went 1-15 in 2016, 0-16 in 2017 and was fired after a 2-5 start last season amid conflicts with the front office and changes in direction.